Post Merry Christmas and Happy New Year everyone! I want to thank you for being such awesome readers – I had not expected so many of you to follow my blog and so many of you graciously commented on my posts. Thank you!!! 2010 had been a pretty great year in terms of sewing. Counting all my creations since the beginning of the year, I had made almost 20 pieces of clothing, and 6-8 pieces of accessories. I probably abandoned about 5 pieces of projects that was not documented. Out of the 20 completed pieces, I wear 18 of them almost regularly. This is a great ratio of pieces attempted : pieces completed : pieces worn (25:20:18)!!! I still remember that in the first year of my sewing career, i would have something like 40:20:2 ratio! I am still trying to push myself to document more how-tos. Sometimes, in the heat of sewing, you just forget to take pictures! I am getting better and better at taking photos myself, so hopefully 2011 would bring more how-tos to this little blog! I swear, she gives the best Christmas presents! Two years ago she and my hubby got me a subscription to the burda fashion magazine, last year she and another pair of friends got my screen printing kit, and this year, this awesome book! I think you should expect some summer dresses with interesting texture next year! As always, my other sewing goal for next year is to get as many girls hooked onto sewing as possible. I think this year had been a great year in terms of that — I got at least 3 girls started on sewing, and one of them seems quite hooked! *evil snickers*. Anyways, happy new year! Looking forward to a great 2011, keep sewing! This entry was posted on Sunday, December 26th, 2010 at 4:21 pm	and posted in Uncategorized. You can follow any responses to this entry through the RSS 2.0 feed. Sounds like you had a great sewing year with a lot of success. And I will join you in “evil snickers” about getting others hooked on sewing. Now I have my friend and neighbor almost as obsessed as I am – so onto more new sewers in 2011! I’m making plans for 2011 myself. And I just found the PERFECT fabric for Vogue 1158 because I loved yours sooo much. And, yes, it’s striped, LOL, what else? LOL! nice 😀 i cant wait to see it! 😀 please do leave me a comment if i missed your creation when you are done! I promise to let you know when it’s up. And I’m so glad for your review because you mentioned taking in the shoulders and I realized while reading the pattern sheet that it has shoulder pads! I had thought you did that because of the Petite thing but it’s even more serious, LOL! thank YOU for putting the effort in to writing so many great posts! 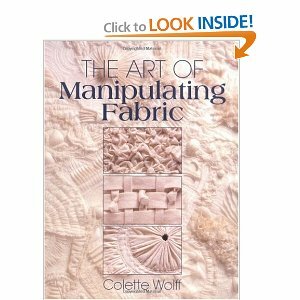 Can’t wait to see what you do with the fabric manipulation book! aww thanks Lauren! 😀 I am glad this blog had been entertaining/useful! I cant wait to try the fabric manipulating techniques too! Such a great gift. It should be a cool book. I just found your site a few weeks ago. Very inspirational. Also, I love your metric (pieces attempted; pieces completed; pieces worn). I am definitely going to set a “sewing goal” as well. thanks for the idea.